These nifty scan tools may look like ordinary flash drives (albeit a bit bigger than usual), but they are powerful enough to scan, read, diagnose, and erase those pesky trouble codes! And the best part is that you can basically use your smartphone or tablet for the job. So anytime that MIL flashes, grab your OBDII scanner, roll up your sleeves, and start fixing your own vehicle. Matt and I decided to review the best and most affordable wireless OBD2 scanners for GM vehicles. My neighbor just bought a used 2013 Chevrolet Sonic LTZ, but he was complaining about intermittent black smoke coming from the exhaust. The Sonic also has an overheating problem, and there is a check engine light on the dash. Knowing that I work and cars and love reviewing OBD2 scan tools, my neighbor was kind enough to let me test our wireless OBDII scanners on his Chevy. He said that if I can diagnose the problem, then I might save him a trip to the dealership, and save him a couple hundred dollars as well. I contacted Matt and told him the story about the ailing Sonic. I asked if he had another GM vehicle that we can test, and he said that his cousin had a problematic 2014 GMC Acadia. The only trouble is that we would have to travel 60 miles to see the car. Everything is set. After a day of testing wireless OBDII adapters, we were quite happy with the results. We used 7 wireless scanners for each test, but here are the 3 that stood out in terms of performance and price. The BAFX 34t5 Bluetooth is designed to work on Android and Windows devices only. Not exactly a big deal, because Matt brought along his Android tablet for this test. He also installed and purchased the DASH COMMAND app because we always use his trusted tablet in testing wireless OBD2 scanners for Android. We hooked up the BAFX to the Chevy Sonic’s OBD2 port. We initially had some problems syncing the scan tool to our tablet, but we removed the device from the port and decided to do it again. In less than a minute, the BAFX 34t5 was able to read the engine coolant sensor trouble codes. Matt accidentally erased the trouble codes because he was fiddling with the app, and we still had to test a few more OBDII adapters on the Chevy. 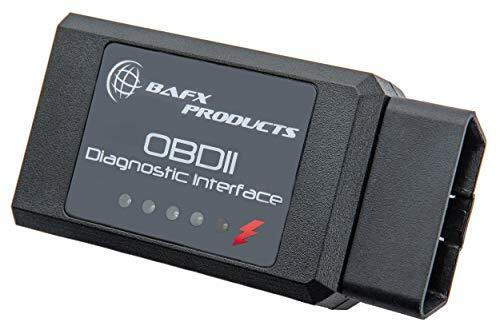 Bottom Line: The Bafx is an affordable Chevy OBDII adapter that gets the job done! We started the car, let the turbo engine warm up for a couple of seconds, and waited for the check engine light to reappear on the console. After 1 minute, the check engine light was back! Matt heaved a sigh of relief. When we proceeded to test the 34t5 Bluetooth on our GMC Acadia test car, I reminded Matt NOT to erase the trouble code. So when the scan tool was able to diagnose the faulty MAP sensor on the Acadia, I grabbed the tablet from Matt so he won’t make the same mistake again. 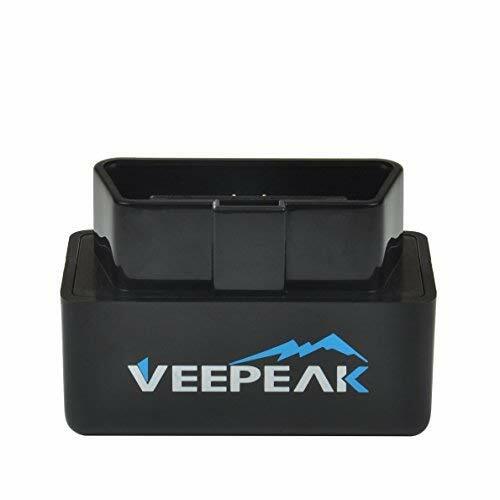 For less than an oil change, we were quite impressed with the Veepeak Mini WiFi. This small wonder is compatible with all 55 OBDII protocols, so you can use it on your car, truck, or SUV, whether it’s domestic, European, or Japanese. The best part is that this nifty device will work on both Android and Apple devices. We first tested the Chevy Sonic LTZ, which is one of our favorite subcompact cars because of the 1.4-liter turbocharged motor. This particular Sonic looks fresh from the inside and the outside, but we did notice that the vehicle had some starting problems, and there was black smoke coming from the exhaust. Yes, there was a check engine light on the dash, and my neighbor had some doubts that the Veepeak Mini WiFi will be able to diagnose the problem. Sure enough, it did. We hooked it up to the OBD2 port and fired up our iPhone with the OBD Car Doctor app. In less than 4 seconds, we found two trouble codes: P1111 and P1112. We found out that there was something wrong with the engine coolant temperature sensor. My neighbor was ecstatic! He couldn’t believe that a device that cost only $(see price) was able to diagnose the fault. Now, he only needs a new engine coolant sensor and his turbo engine will be back in tiptop shape! We proceeded to test the 2014 GMC Acadia. This SUV is similar to the Chevrolet Traverse and the Buick Enclave. Our test unit is equipped with a 3.6-liter gasoline V6 engine with a 6-speed automatic transmission. However, this Acadia has engine stalling problems, particularly after starting the car. The engine also has a tendency to drag or hesitate while idling. We hooked up the Veepeak Mini WiFi to diagnose the problem. True to form, the device was able to read the P1107 trouble code, which means the MAP sensor needed replacement. We decided to check it again, and the same trouble code popped up. This means that Vince’s cousin doesn’t have to spend an entire week’s worth of wages to get his car back on the road. First up is my neighbor’s Sonic LTZ. We already knew that this small car had problems with the engine coolant temperature sensor, but we just needed to confirm the diagnosis using the Foseal adapter. We weren’t disappointed at all. This wireless scan tool was able to accurately detect the Chevy trouble code P1111 and P1112, although the latter showed up during our second take. When we tested the Foseal on our GMC Acadia, it was already getting dark. Vince’s cousin promised to take us out to dinner, and were hungry after a whole afternoon of testing wireless scan tools. The Car WIFI OBD2 Foseal Scanner was able to read and diagnose the faulty MAP sensor of our GMC Acadia test unit, and it took no time at all! You don’t need to spend a ton of cash on vehicle repair if you have your own OBD2 scanner for your Chevy or GM vehicle. All of these OBD2 wireless scanners that we tested costs less than a tank of fuel, further proof that cheap doesn’t necessarily mean that they’re inferior to corded scan tools that cost into the thousands. 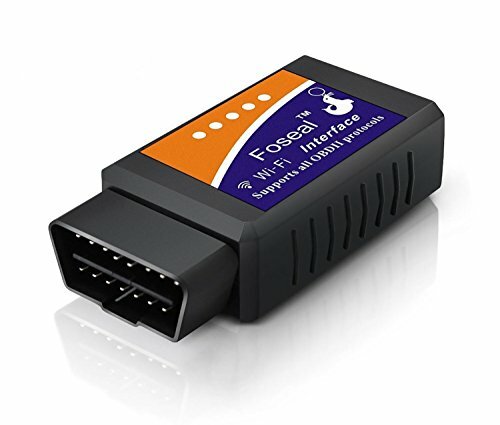 If you’re still searching for an obd2 scanner for chevy, why not check out all our OBD2 WiFi adapters and OBDII BlueTooth adapters.